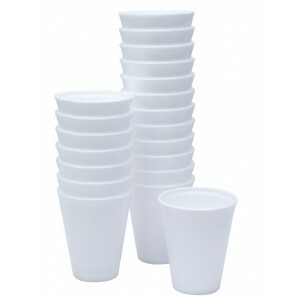 Great for serving hot drinks to staff / office/ guests / parties etc - these are excellent quality thermal polystyrene cups. They come sub-packed in sleeves of 100, hence also ideal for re-sale in shops, and for use in take-aways, restaurants, stalls, catering and home use. These are high quality dart standard polystyrene cups.